More than six million animals are handled by animal shelters in the United States each year. Even though some are reclaimed or adopted, nearly four million unwanted dogs and cats are left with nowhere to go. (1) Shelters cannot humanely house and support all these animals until their natural deaths – they would be forced to live in cramped cages or kennels for years, lonely and stressed, and other animals would have to be turned away because there would not be room for them. Turning unwanted animals loose to roam the streets is not a humane option. If they don’t starve, freeze, get hit by a car, or die of disease, they may be tormented and possibly killed by cruel juveniles or picked up by dealers who obtain animals to sell to laboratories. Because of the high number of unwanted companion animals and the lack of good homes, sometimes the most humane thing that a shelter worker can do is give an animal a peaceful release from a world in which dogs and cats are often considered “surplus” and unwanted. 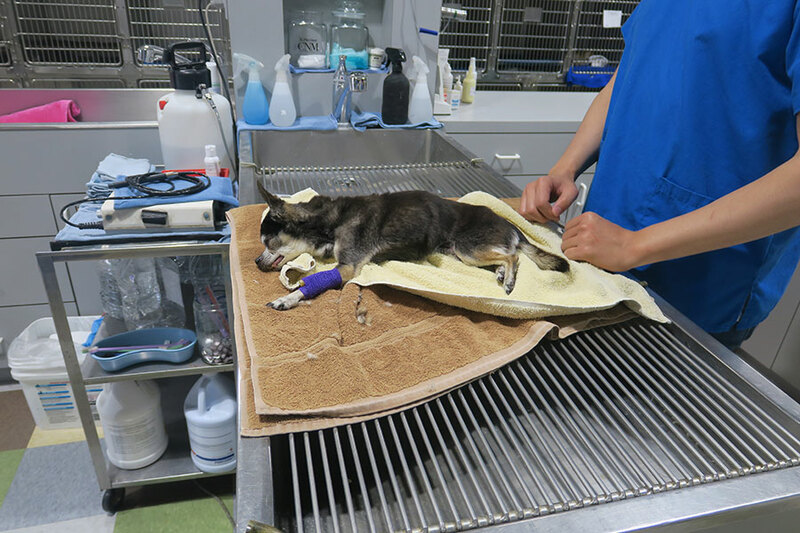 TFPF and The American Veterinary Medical Association concur that an intravenous injection of sodium pentobarbital administered by a trained professional is the kindest, most compassionate method of euthanizing animals. The American Humane Association considers this to be the only acceptable method of euthanasia for cats and dogs in animal shelters. Injections into the hearts of conscious animals are not acceptable. Inhalants, decompression, drowning, electrocution, shooting, and other methods are also unacceptable because they rarely provide an instant death and cause suffering before death occurs. Some drugs can cause discomfort if injected too quickly or at too high a dose, and some, such as strychnine, can cause animals to experience violent convulsions, muscle contractions, or cardiac arrest. The physical methods used to kill animals in shelters include shooting, electrocution, and decompression. The obvious problem with shooting is the potential for extreme pain if the person handling the gun is not competent, if the animal is struggling, or if the bullet is deflected and the animal survives. Electrocution can be extremely painful and traumatic and doesn’t always work. Decompression chambers simulate an ascent to thousands of feet above sea level in a matter of minutes. At many shelters that use this method, decompression occurs at speeds up to 15 times faster than the recommended rate. At this speed, the gases in animals’ sinuses, middle ears, and intestines expand quickly, causing considerable discomfort or severe pain. (4) Accidental recompression can occur when equipment malfunctions, when there is a personnel error, or when small animals become trapped in air pockets. They must then be put through the procedure all over again. Until dog and cat overpopulation is brought under control through spaying and neutering, we must prevent the suffering of unwanted animals in the most responsible and humane way possible. Euthanasia, performed properly, is often the most compassionate option. 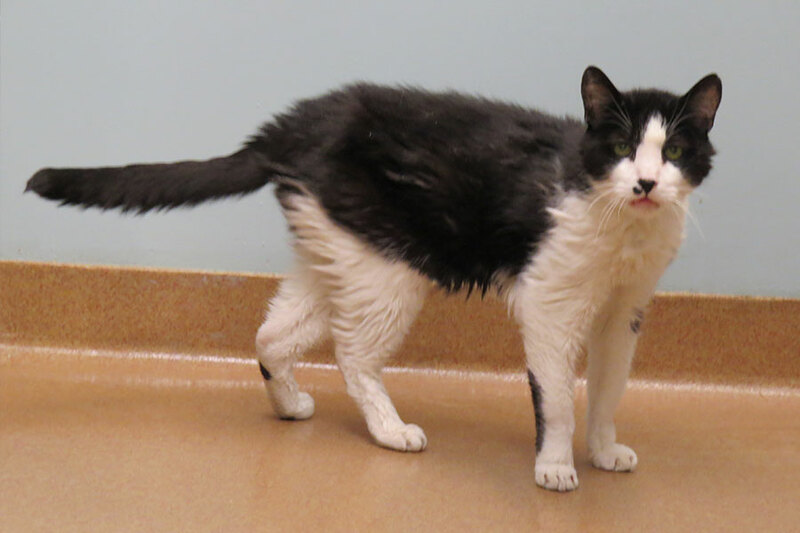 When animal companions become very sick and are suffering with no hope of recovery, and they seem incapable of truly enjoying life, it may be time to provide them with a peaceful death through euthanasia. Ask your veterinarian to talk frankly with you, and consider getting a second opinion if you are in doubt. Be sure that you are not prolonging your animal friend’s suffering because of your own fear of letting go. The tendency is to wait too long, at the expense of the animal you love. If your animal companion is very nervous, you may want to obtain a dose of tranquilizer from your veterinarian and administer it two hours before the appointed time for euthanasia. The veterinarian will be able to give the injection more easily to a relaxed patient. You will also be calmer when your animal companion is at ease. It is important to try to be cheerful and soothing with your animal friend until after he or she has lost consciousness. Some veterinarians will come to your home to administer the shot, which can ease the stress of animals who are in pain or fearful of cars or of the veterinarian’s office. Otherwise, go to the animal hospital, perhaps taking along a member of your family or a friend to give you moral support and drive you home. If necessary, ask hospital personnel to help you carry your companion animal inside. If you plan to bury the body, rather than leave it at the hospital, or if your animal companion is in a great deal of pain or is very fearful, you may want to arrange to have the doctor come to the car to give the injection. Staying with your animal companion while he or she is gently “put to sleep” with an injection of sodium pentobarbital into a vein in the leg can be a great comfort to the animal. If you are extremely upset or nervous, however, you may convey those feelings to your animal friend; it is important to remain calm and speak in a soothing voice. While your animal companion’s brain will “go to sleep” immediately, his or her heart may beat a few minutes longer because circulation may be slowed from the tranquilizer and/or old age. A careful veterinarian will monitor the heart until its last beat. You will never doubt that your friend had a peaceful departure from this life if you are there to say goodbye until the very end. Finally, remember that it is normal to feel deep grief and a great sense of loss about the death of your animal friend. Please see our factsheet “The Loss of a Companion Animal” for assistance and resources for dealing with this difficult time. Some hospitals and private grief counseling services now recognize the need to help people adjust to the loss of close friends and family members who don’t happen to be human. Take comfort in knowing that you did all that you could to make your animal companion’s passing as painless and peaceful as possible. If you have other animal companions in your family, take their feelings into consideration, too. If they have been closely bonded with the animal who has died, it can be very helpful to them to have the opportunity to see and smell the deceased companion’s body so that they know what has happened and don’t wait endlessly at the door for their missing companion to return. Animals often have deep feelings of grief and loss, too, when their dog or cat friends die. Be sensitive to their feelings and try to help them through their grief by giving them extra attention and activities, even as you work through your own. If your local pound or animal shelter is using any euthanasia method other than an intravenous injection of sodium pentobarbital, protest to local authorities and demand that humane methods be implemented. Check state and local laws for prescribed methods of euthanasia and insist that your local shelter comply with these requirements. Euthanasia should always be performed by well-trained, caring staff members, and animals should never be euthanized in view of other animals. 1) “HSUS Pet Overpopulation Estimates,” The Humane Society of the United States, last accessed 14 Jan 2016. 2) Bill Baskervill, “Many Abandoned Animals Die in Taxpayer-Funded Gas Chambers,” Associated Press, 17 June 2002. 3) State of Rhode Island General Assembly, State of Rhode Island General LawsSection 4-19-12, 2007. 4) American Veterinary Medical Association, AVMA Guidelines on Euthansia (formerly, Report of the AVMA Panel on Euthanasia), June 2007.